As of January 2017, there is no longer access to this trail from the Upper Applegate Road. 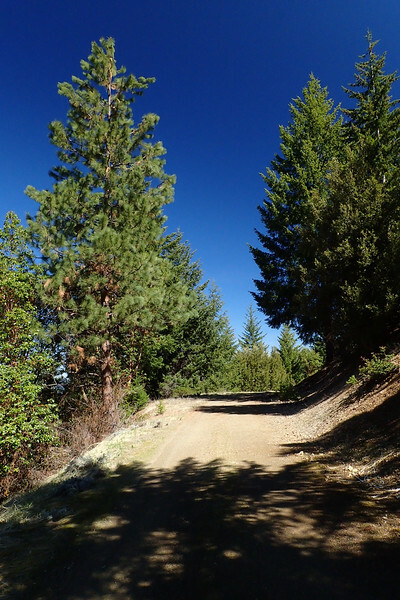 The area previously used as its lower trailhead is now on private property for which the Rogue River-Siskiyou National Forest does not currently have an easement. 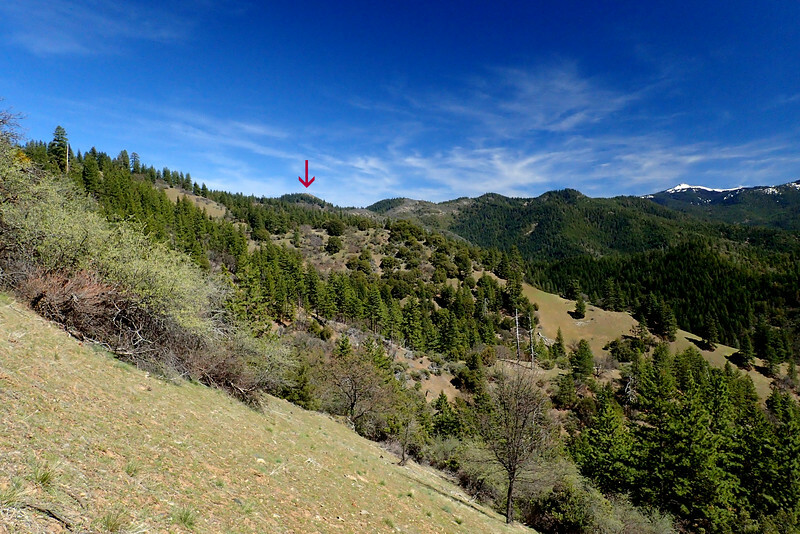 Please respect the landowner’s wishes and access this trail from its upper reaches via the Charlie Buck / Baldy Peak Trail (USFS #918). 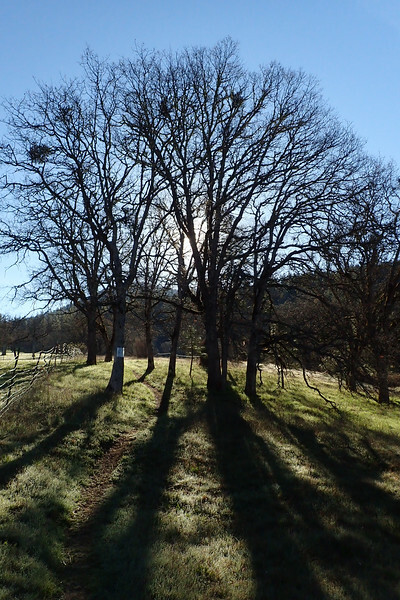 The Upper Applegate Road begins in the small town of Ruch, Oregon on Highway 238. 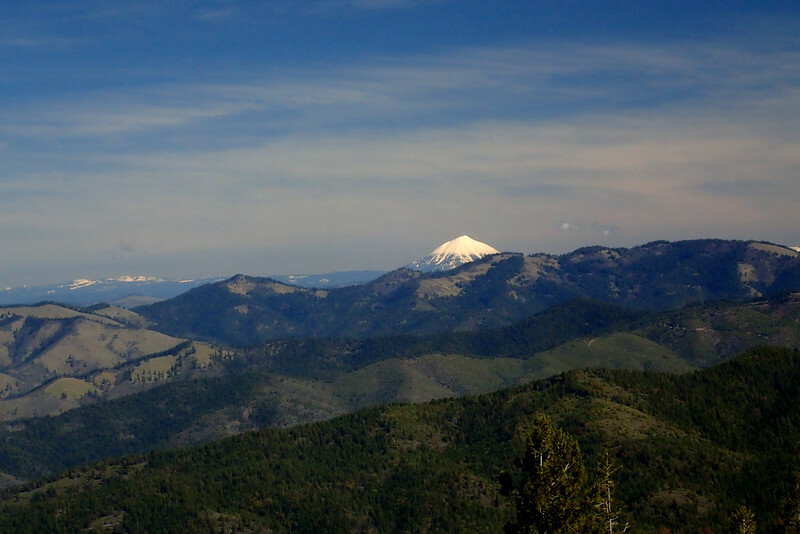 Along this stretch of road are some of the best low-altitude, all-year hikes in Southern Oregon. 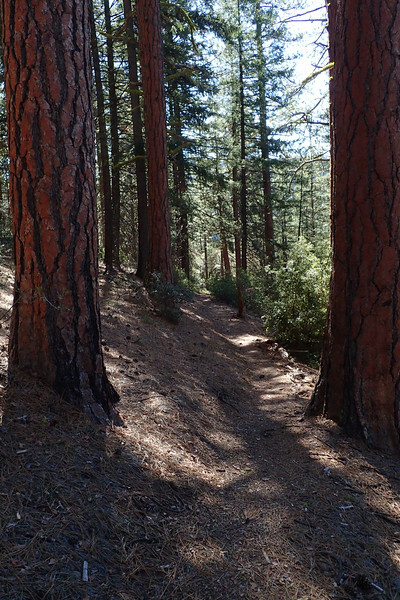 It is, however, hard to build loop hikes out of these trails without having to resort to friends and/or family car shuttles or extra long walks on roads. This would consign the solo hiker to just out-and-backs if it were not for – wait for it – the mountain bike! With a bike, it’s possible to make moderate loop hikes out of many otherwise loopless hikes – allowing you to mix the contemplative pace of a good hike with the soul-searing excitment of a downhill ride on gravel forest roads or on some actual mountain biking trails. Hence the miracle of the hike and bike (H&B)! to an unsigned junction on the saddle below Baldy Peak. 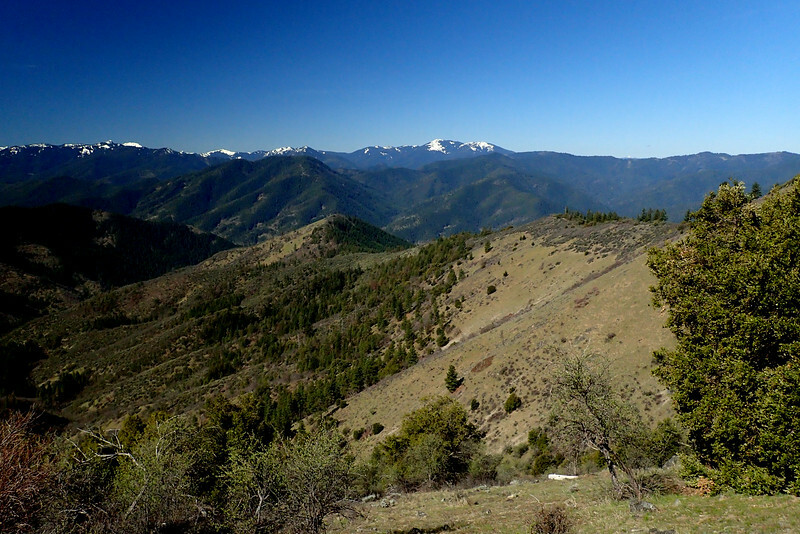 From here, the Charlie Buck/Baldy Peak trail (USFS #918) comes in from the north and continues to the south past a small cairn and soon crosses open ground with big views down Mule Canyon and out to the Siskiyou Crest. before reaching a junction with FR 2010-300 on another saddle. 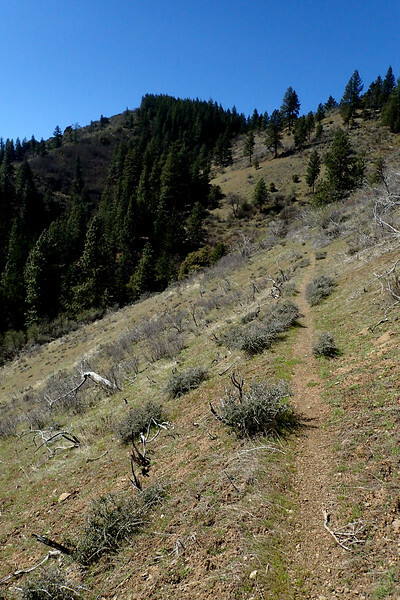 Here the Mule Creek trail (USFS #920) heads downhill to the east but I continued south and then east on FR 300 toward Squaw Peak. In under 2 miles, FR 300 comes to a junction with FR 2010, which I followed for a short distance to a four-way junction with FR 2010, FR 340, and FR 350 – which is the road leading to the lookout. 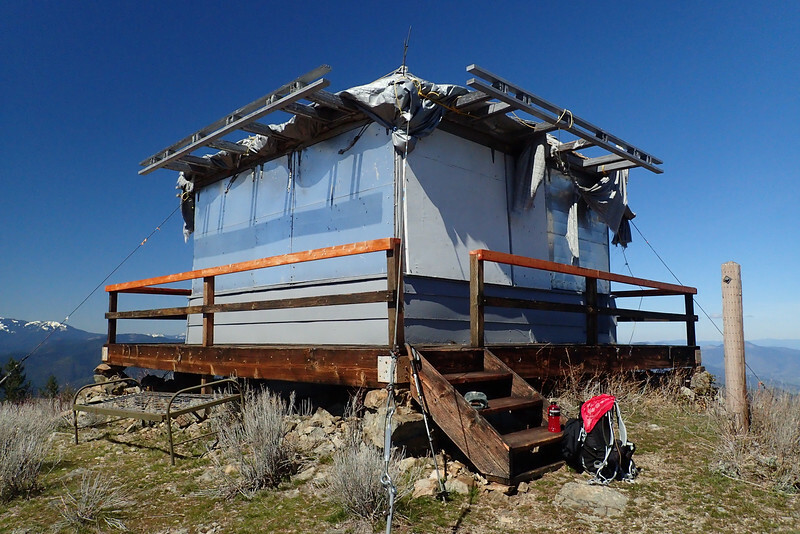 The old lookout atop Squaw Peak is no longer in service as a lookout but is used occasionally by Forest Service personnel during fire season. There are plans, however, to add it the Forest Service’s old lookout rental program (presumably after they fix the roof). 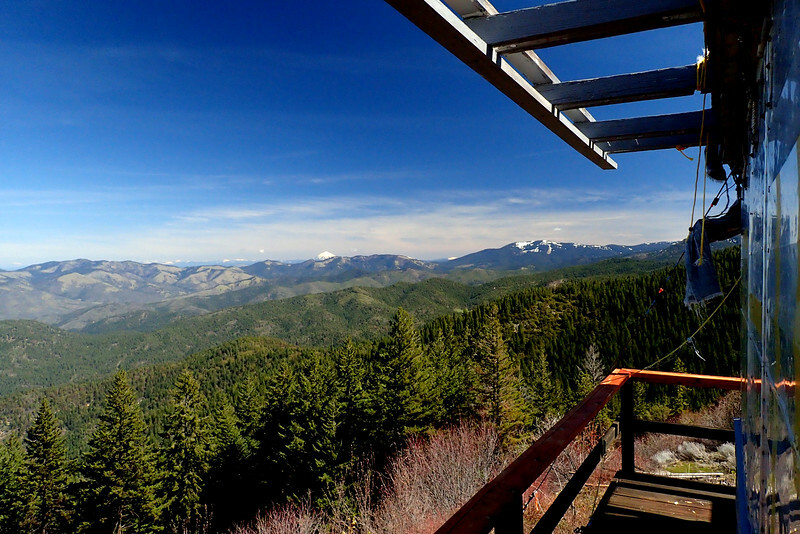 From the lookout, there are great views in all directions and especially of iconic Mount McLoughlin to the east. and at one point I could look back and just make out the lookout on Squaw Peak. From the trailhead, it was a steep run down the gravel road in French Gulch and then on paved roads back to the Mule Mountain trailhead. 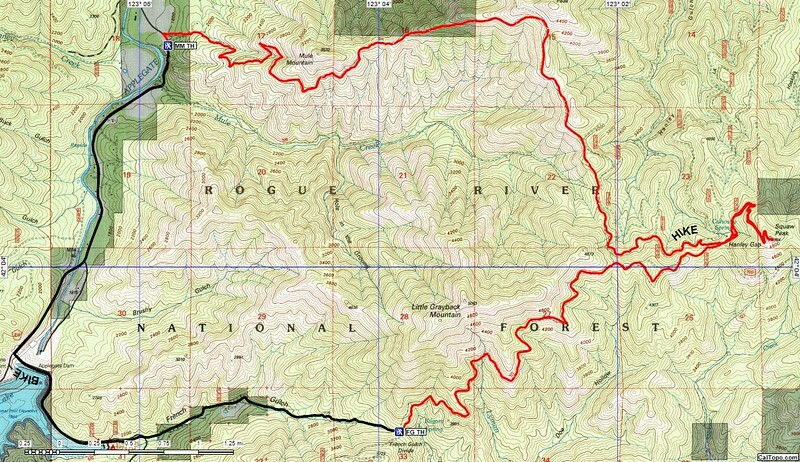 The hike portion (red track) is 13.9 miles with 3,600 feet of elevation gain and the bike portion (black track) about 6.1 miles on gravel and pavement.